It's so versatile- The first time I used it I shoved my camera bag into it with a water bottle and sweater. In the front of the bag I threw a little first aid kit, chap stick and my phone/keys. The second time I used it I had a tripod, camera, filters, jacket, phone/keys, and water. It's light as a feather-The backpack weighs nothing so the only weight you carry is whatever you put in it. It's adjustable- The bag is one size fits all but I was actually able to adjust it to fit me!!! The front chest straps (the ones that go across your chest) slide up and down the straps so you can comfortably clip the straps across your chest. The shoulder straps are also adjustable and get really small (yay!) and the waist straps also are super adjustable. So everything fit just right which is always a bonus. I don't know that I've ever been able to say a one-size-fits-all item has ever fit me. Kudos Cotopaxi. It's compact- Like I mentioned before the bag folds into itself. This is great if you're on a trip where you're backpacking into your campsite and then do day hikes from there. You can bring this little bag folded up and stuffed in your pack and use it as a day pack when you get wherever you're going. It could also be used as a dirty clothes hamper to separate your dirty clothes from your gear. You have no idea what colors you'll get! Yep. You read that right. While there is an option to choose the color you want (second link), you also have the "I'm Feeling Lucky" option and they'll send you a random bag (first link)! Kinda adventurous, no? The material is paper thin- Yeah, so thin that you can feel everything in your bag. But strangely enough it doesn't bother me at all. While you can definitely feel what's in your pack on your back it's not that distracting, then again I was really particular about where I put everything in the pack so I wouldn't feel it too much. Also the material being so thin worries me because I'm scared it will tear. I'm definitely the type of girl that throws down backpacks (broke a pair of RayBans that way) so we'll see how the bag holds up! So overall I really like this bag. 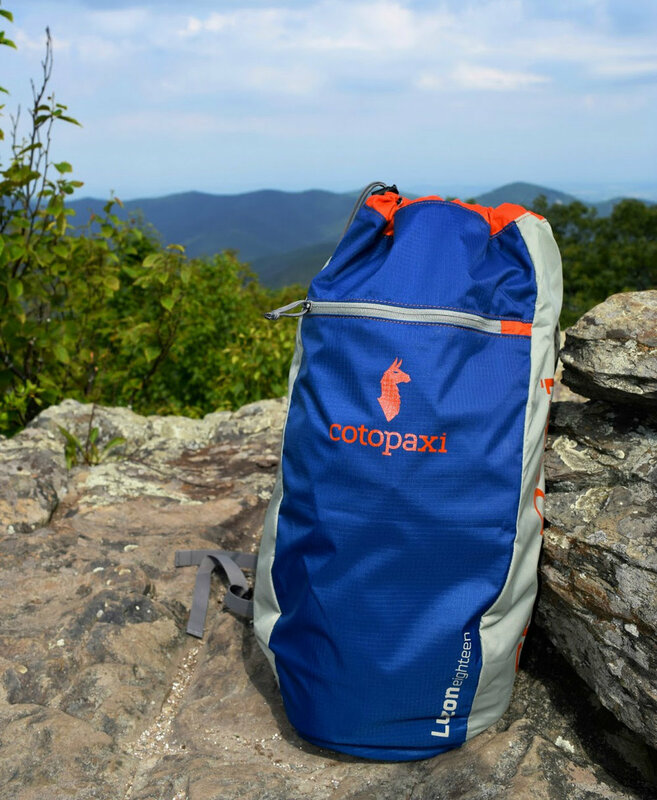 I wouldn't use it on any long trips, and it's not built for longer trips, but I can attest to the fact that it is a wonderful little backpack to take on day hikes! Also, I can say from experience how happy I was to open this up so it would also make a great gift for that special outdoorsy someone in your life :) Unfortunately the "I'm Feeling Lucky" option is preorder only right now but they should have some in stock soon!